Jan. 16. Greensboro-based D.H. Griffin Cos. will begin demolishing the old Philip Morris plant in Concord within the next 30 days. Now known as The Grounds at Concord, the buildings total some 3.5 million square feet. The 2,000 acre site owned by Bootsmead LeaseCo is being marketed by JLL Carolinas for an undisclosed price. Griffin is well-known in Cabarrus County. The company demolished the old Pillowtex/Cannon Mills plant in Kannapolis to make way for the North Carolina Research Campus. David Griffin, president, said it was “exciting news” to be able to help in the “transformation one of the best pieces of property in the country.” The majority of the materials on site will be recycled, he added. The manufacturing site, which has interstate access, substantial utility infrastructure and rail access, is considered one of the leading industrial sites east of the Mississippi. 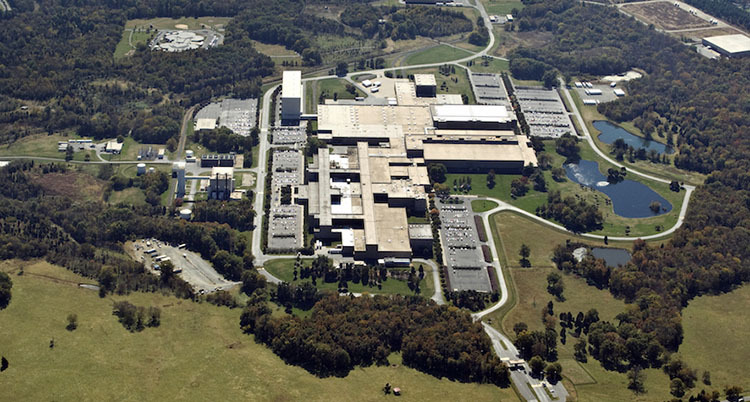 Cabarrus County suffered a major blow in 2009 when Philip Morris closed the cigarette-making plant that sat on 1,000 sprawling acres on Concord Parkway. To much fanfare, Swiss-based Alevo Group SA arrived in 2014 with a plan to create hundreds if not thousands of jobs through revolutionary energy-storage technology. It may have been too revolutionary: Production and hiring fell far behind projections. In 2017, Alevo here filed for Chapter 11 bankruptcy protection and said they would lay off 290 workers. At one point Toyota/Mazda was said to be interested in the property. JLL got the listing last year. “By making this investment to remove the plant, we believe we will be well positioned to demonstrate the incredible potential of The Grounds at Concord to prospective users and capture the imagination of job creators who want to be part of the region’s growth story,” said Wellford Tabor, managing partner of Bootsmead. Vintage manufacturing plants are also highly specialized for whatever it is they made, so once they become obsolete they can be an enormous white elephant. “Kudos to the owners of this property for being willing to spend the many millions it will cost to tear down this massive facility to make the land more marketable for modern uses. I’m imagine they will probably leave the open warehouses as they will generally be much more adaptable than the manufacturing buildings,” said Zac Moretz, a business and real estate attorney based in Concord. The old Philip Morris site can be divided into multiple parcels that would support a variety of uses. The demolition of the plant will not impact economic development efforts. When demolished the megasite will help recruit new business and economic activity, said Chris Chung, CEO of the Economic Development Partnership of N.C.